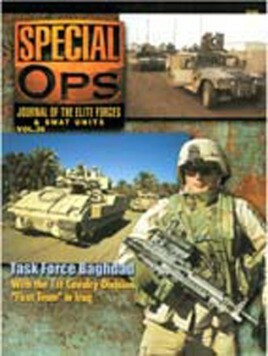 Unfortunately, due to sales rights restrictions, we cannot offer 5536 Special Ops: Jounal Of The Elite Forces And Swat Units Vol. 36 for sale in your country. If it is conventional warfare, anti terrorism raids, hostage rescue or working in extreme conditions there is always a need for highly trained men to do highly specialised or difficult work. This can be either regular military operations or civil police anti-terror/hostage rescue work. In this latest volume from Concord many aspects are examined.